Apple can’t wait to get back into streaming music, even if not all the pieces are in place quite yet. 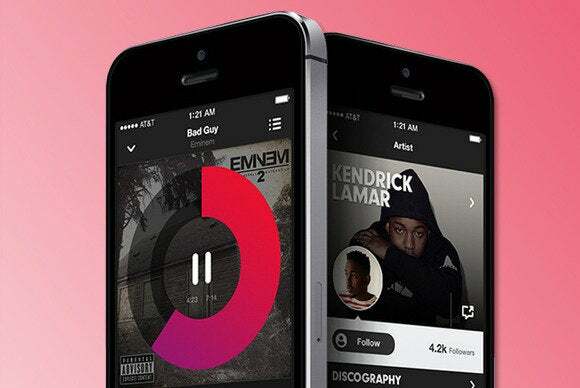 The Beats Music relaunch is expected to be announced at the Apple Worldwide Developers Conference in June, but music industry sources have confirmed to Billboard that Apple has not yet secured the appropriate licensing deals required from the major record labels to be able to stream their catalogs. It’s a piece in the puzzle that can’t be overlooked. Just this month, Grooveshark was forced to shut down after being bombarded with copyright infringement lawsuits for streaming unlicensed content. The fact that WWDC is just a few weeks away had a few critics questioning whether the new service would be ready in time, but 9to5 Mac has confirmed that a Beats announcement is still on the agenda for Tim Cook. Given how much money the iPod and iTunes have made for music labels, a tight timeframe doesn’t necessarily mean that Apple is stressing out over inking these licensing deals. “If any company can pull it off, they can,” one source told Billboard, referring to Apple’s clout in the music industry. For the last year, Apple has been negotiating with major record labels on a wide range of issues. Originally, Apple wanted to charge $5 a month for its streaming service, then it went up to $8 a month. Music labels, however, refused to budge on their licensing cut, so now it’s likely that Beats Music will come with the standard $10 per month subscription plan. Additionally, Apple was talking to record labels about obtaining exclusive music from artists like Taylor Swift and Florence and the Machine. And in a decidedly more cutthroat plan, Apple was reportedly trying to convince labels to stop licensing their catalogs through free plans on Spotify and YouTube. That last move got the Department of Justice and the FTC involved. Why this matters: It seems like Apple is flexing all its muscle with the music industry to make Beats Music a hit right out the door. The company has started to diminish the competition from rival services by undercutting them both on price point and the content being offered. Beats, along with a revamped version of iTunes radio, will square off against Spotify, Rdio and Jay-Z’s newly launched Tidal. But Spotify could be particularly susceptible to Apple’s competitive tactics. According to mobile data compiled by The Information, a majority of Spotify active users are on iOS.